Bennion, Boyle, Paisley, Ryan, S Byrne (P Byrne 83); Murphy, Hurley, Dawson, Clancy (Byrne 56), Cassidy; Hughes (Gorman 67). Murphy, Carroll, Kenna, Browne, O’Brien; Macedo (Coombes HT), Bolger, Chambers, O’Connor, Meenan (Forrester 67); Fagan (Vinny Faherty 83). 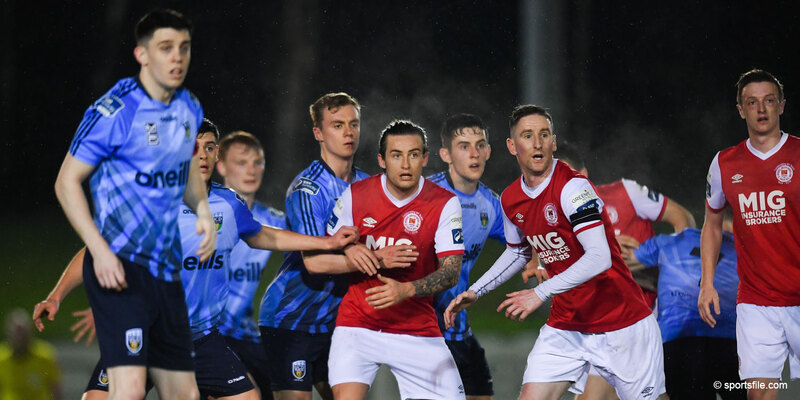 St. Patrick's Athletic kept pressure on league leaders Sligo Rovers with a hard earned 2-0 win against Shelbourne at Tolka Park. The home side had a good shout for penalty as Anto Murphy's shot looked to have struck a hand on its way, but referee Anthony Buttimer waved play-on. Shels had an even better shout for a penalty as David Cassidy's shot looked to gave struck the arm of Conor Kenna, but referee Buttimer again waved play-on, which was probably the correct decision. Shels kept their pressure up and come within a whisker of the opener after twenty minutes, but Barry Clancy's curling strike went agonisingly wide of Murphy's far post. 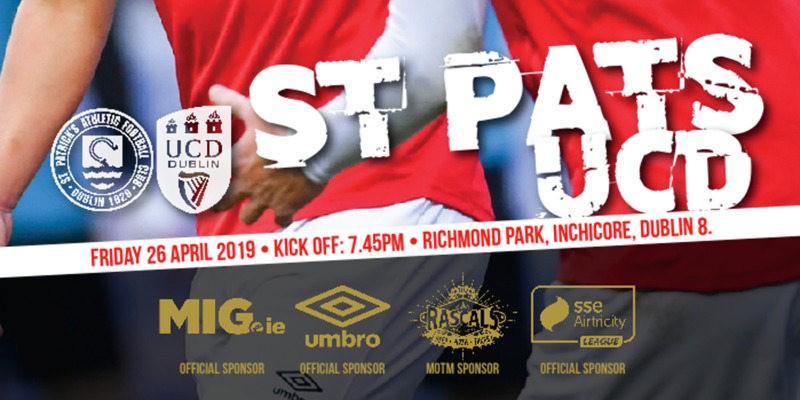 St. Pat's attacked in return as O'Connor's flick to Darren Meenan allowed the winger to volley from 20-yards, but his cracking effort struck the crossbar. Clancy went close again for Shels, shooting across the goal after a good run from the right, but St. Pat's should have taken the lead after 29 minutes. 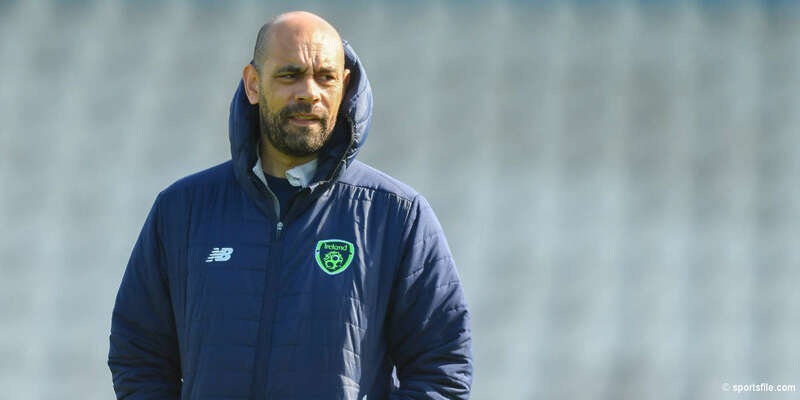 Andy Boyle's foul on Christy Fagan gave Pat's a free-kick on the edge of the penalty area, where Ger O'Brien played the ball behind the wall for O'Connor. O'Connor composed himself before shooting, but Shels defender Ian Ryan got back on the line to clear brilliantly. Bennion was called in to make a smart save six minutes into the second half as St. Pat's looked to make some early pressure count. Fagan played a smart one-two with Chambers on the edge of the penalty area before playing in O'Connor, but he couldn't beat the keeper from a tight angle. St. Pat's continued to press and Murphy had to be at his best to challenge Chambers as he ran through the penalty area. O'Connor did well to get his cross away and it was met by a superb header from Fagan, who gave Bennion no chance, tucking it into the top corner. As Jake Carroll waited to take a throw, an off-the-ball incident between O'Connor and Murphy saw the former fall to the ground. Shels pressed for an equaliser but it was St. Pat's who doubled their lead in the final minute. O'Connor broke down the left after a Shels free-kick and he crossed for Vinny Faherty to beat Bennion to the ball and ensure the three points.